The Technilamp livestock fitting is a tough, durable and long life lamp fitting, designed specifically for the livestock market and is used mainly for the breeding and rearing of pigs, cows, chickens, dogs and horses. 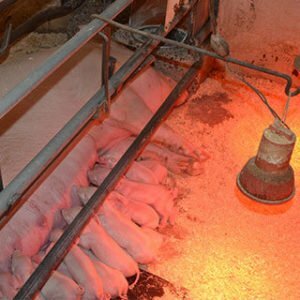 Offering a mild steel chain for temperature control, the livestock fitting is the perfect accessory for the infrared heat lamp to ensure safe, even heat distribution in the breeding and rearing of livestock. Our livestock heater fittings offer instant radiant heat for livestock and fit a hard glass lamp with strong, durable connectors. The lamp is easily replaced, as are the connectors. This labour saving device provides the heat needed by small piglets, foals, calves and chicks, reducing their stress and helping to prevent unnecessary mortalities. Technilamp offer a full range of livestock heaters and livestock heater fittings on our online store. You can browse our full range of products online and have them delivered to your door.